Salamander Trust worked again with the ATHENA Network, WECARe+, the Global Coalition on Women and AIDS and others, to organise a Town Hall Session, a Conference Satellite and several Conference Booth sessions, focusing on the sexual and reproductive rights of women living with HIV. Please click here for more information about these sessions. Salamander Trust hosted two workshops at the International Women’s Summit: one on Stepping Stones; the other on the effects of food insecurity on gender-based violence. Please return here soon for more information about these sessions. 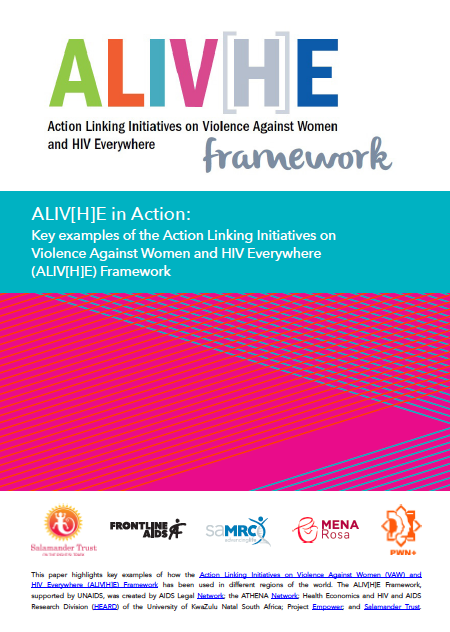 Salamander Associates Fiona Hale and Marijo Vazquez have co-authored a major new report on the Gender Based Violence experienced by Women living with HIV and AIDS. Please click here to read more about Salamander Associates’ work and to access this report and related materials.